Quinoa (kin-wah) is a grain like crop derived from South America. It is cultivated as a food source for it’s edible starchy seeds and it is species of goosefoot. Strictly speaking, quinoa is a seed but it is commonly referred to as a grain and as such is prepared like so. Quinoa is used as a staple food diet in many South American countries and can be ground down into a flour form, however does not contain any gluten. It is high in protein, has essential vitamins and minerals such as calcium, phosphorus & iron, not to mention the 8 essential amino acids required for good health and repair. This is why many have given quinoa the pseudonym super food. The Incas thought of quinoa as the ‘mother of all grains’, and history of quinoa dates back almost 3000-4000 years ago. When the Spanish conquered Central & South America they forbade the cultivation of the seed which almost saw it become ‘extinct’. Lucikly enough quinoa cultivation was restored and is now thriving in many different locations. The plant itself usually grows to about 1-2m tall and has broad, powdery and alternating arranged leaves. Colours of the plant range from purple, green or red. The quinoa fruits usually vary in colour from white to red or black. You’ve seen it listed in recipes, heard it talked about on television and spotted it on menus, but just what is quinoa and why is it so popular these days? Quinoa is a seed that comes from a species of Chenopodium or goosefoot plants. Many people call quinoa a whole grain, but that description is not entirely accurate. A true grain comes from a plant that is a member of the grass family, so although quinoa can be served like many grains, it is technically not one. The closest relatives to quinoa are vegetables that come from a family of flowering plant known as the chenopods. These include spinach and beets. Quinoa is native to Peru and was considered a sacred plant by the Incans who once inhabited the Andes. When growing in a field, a quinoa plant has smooth, bright green leaves that grow opposite of one another on the branch. 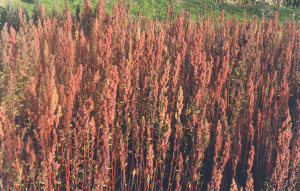 The plant produces bright red flowers, and once pollinated, produces the seeds that are harvested to make quinoa. Uncooked, quinoa appears like tiny brown, golden or reddish-brown beads. Quinoa has a distinctive, nutty taste that separates it from other grains. The outer hull of a quinoa seed is very bitter, so if it is not properly prepared, quinoa can have a strong flavour that borders on unpleasant. Fortunately, this is easily avoidable by purchasing pre-soaked quinoa or by soaking the quinoa yourself for several hours before using it in a recipe. Like whole grains, quinoa is packed with nutrients and offers many benefits for the body. The seeds are quite versatile and can be enjoyed alone seasoned with a little olive oil and fresh herbs. Highly versatile, quinoa can also be used as a substitute for other whole grains in recipes or used in place of rice in a risotto, casserole or dressed with a delicious sauce. 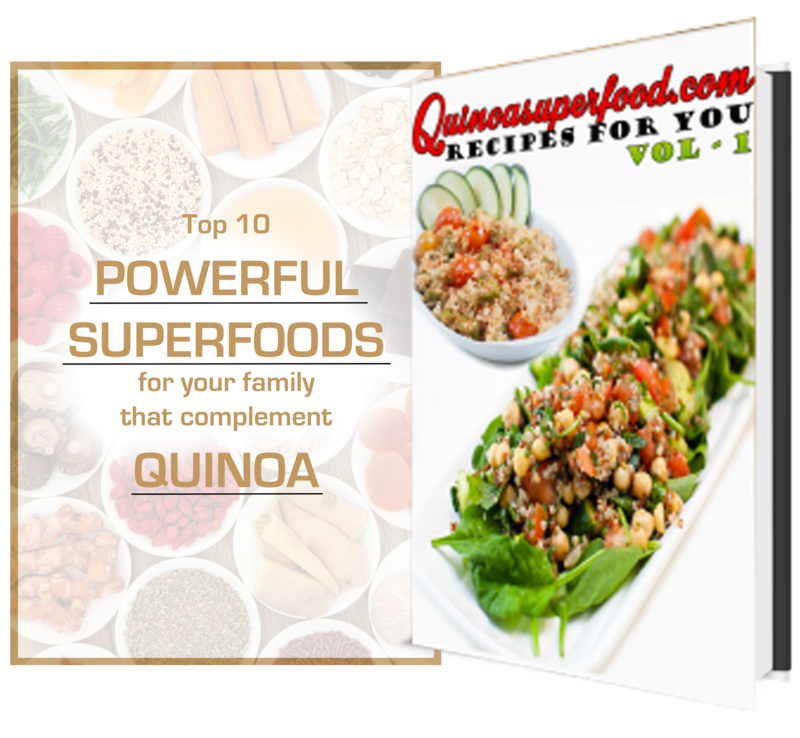 Because quinoa is easy to prepare, nutritious and delicious, it is growing in popularity all over the world. Once you taste it for yourself, you’re bound to become another quinoa fan.